Flight Chic was given the honour of being among select members of the world’s press to tour the prototype cabin of Airbus’ A350XWB aircraft and, as an extra treat, we were allowed a walk-through the new swanky Cabin Design Center. The timing of the event was tricky. In order to attend, I had to miss Boeing’s presentations for the morning’s sessions of the Passenger Experience Conference, which I was also eager to hear. We..(My favourite photographer and I. It’s not the royal “we”.) We chose to attend the Airbus event because of the great promise of the A350XWB aircraft, and a natural human curiosity to see what the fuss was about with the Design Centre on my part. While we took some great pics of the A350XWB itself, pictures of the Cabin Design Centre inside were verboten. It’s OK. That’s what writers are for. I’ll paint you a picture. Imagine that Willie Wonka took over IKEA, and dispossessed the Umpa Lumpas. That’s how I would pitch the movie of the tour, if a studio wanted to buy the script. While the receiving room of the design centre, where Airbus held their press conference on the A350XWB, is somewhat dressed to impress, the inside is..odd. It’s not that it was bad, it’s just that it was so very..catalogue. As Lufthansa Technik and Airbus are both in Hamburg, we might have expected a little “cross-pollination.” Many on the tour with us asked when we would get our 3D glasses, but there were none to be had. What we saw instead were white cardboard cut-outs of rectangles and cubes fitted into a plywood “cabin” to represent the space occupied by the furnishings which might be fitted onboard. It was crowded in there. I couldn’t help feeling a little let down. We were also taken to rooms of mock-up cabins, full of actual components, which we would have expected to find years ago. And then there was a carpet seller’s showroom selection of fabrics and trim, which did the opposite of blowing us away. The only really promising bit was when we were led through the dark Psychedelic Tunnel of Many Televisions. That was the Willy Wonka part. “There’s no earthly way of knowing / Which direction we are going! / There’s no knowing where we’re rowing, / Or which way they river’s flowing! ..etc. I’m sure that if we had been an airline the many television screens in the pitch black room might have shown a virtual cabin, as Airbus suggested, instead of many rotating multi-colour rectangles. It’s a shame that they didn’t just project a non-branded cabin. It would have helped us see the purpose of the dark tunnel far better. For the exciting cabin experience, we had to wait until we got inside the A350XWB. That, though nice, also slightly underwhelmed. The principle reason for this was that the interior was not designed for visualisation of the full promise of the cabin. Rather, it was just a nice view of what might be standard equipment. Again, a push for the catalogue. Airbus did a lot of catalogue pushing. Understandably so. It is better economics for them to get airlines to buy-in on the catalogue concept. I respect and understand that. What I don’t understand is why our industry does the opposite of others. Go to a car show and you’re shown the best cars. A boat show, the best boats. A show home shows the Architect’s and Interior’s Designer’s best vision for the space. In this case, it was “meh” illuminated by pretty colours. But we’ve seen that before. More room for everything was a very attractive feature of the interior of the A350XWB. But this was a case of beauty on the outside. I’m not knocking Airbus’ desire to keep the best of the Cabin Design Centre to themselves. But it does seem that if you go through the trouble of inviting the world’s press to have a look-see, you should show more than rotating rectangles and colourful swatches. While on the Cabin Centre tour, when we visited the wall of swatches (which we reached through the little hall I would describe as the museum of safety components), we met Paul Edwards, Head of Industrial Design Strategy, Innovation & Design Cabin & Cargo, CoC, Airbus. 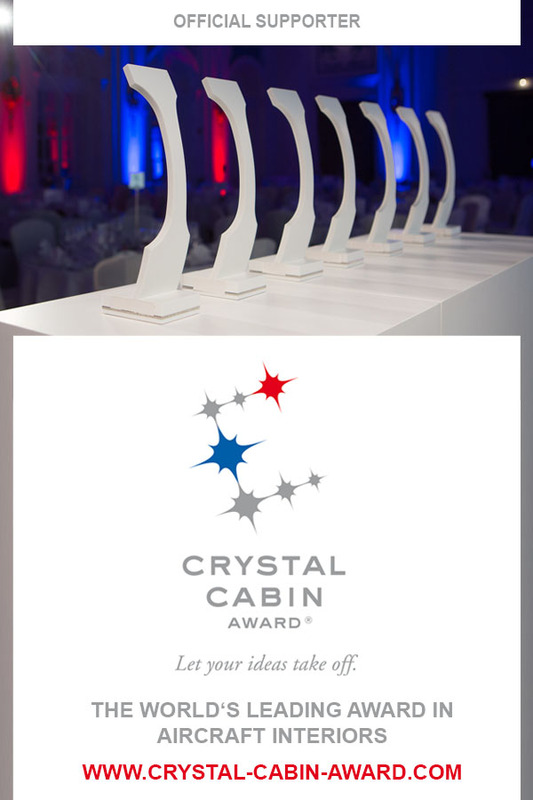 He impressed me as a thorough professional, who understands the needs of those airlines who don’t have the budget to hire an outside design firm to help them design unique cabin interiors. Those are, after all, the ideal customers for the catalogue approach. Edwards assured me that the swatches on display would be customised to the needs of the particular airline who actually went through this tour. That was a relief. He also told our group that he and his team are ready, able and willing to help airlines customise catalogue as much as catalogue allows. I believe that is true, and I believe he and his team would do a very good job of it. I still don’t understand why Airbus didn’t pull out all the stops and feature some unique, even “this will never actually make it to market” future-vision stuff. They have it aplenty, but they held back and that was a shame. From seats to galleys, the customer experience for furnishing the 737 just got easier. I haven’t yet had the opportunity to tour Boeing’s Interior Configuration Studio, but the description Boeing provides sounds familiar. Additionally, customers can use the 737 Boeing Sky Interior light lab to study how fabrics, carpets, drapes and uniforms appear under various light settings. The facility also houses the “new features room,” which provides customers with a glimpse of future technologies. Allright. There’s clearly enough of a market for the catalogue approach for both manufacturers to go out of their way to compete on design centres. There is certainly no harm in that. Now, Boeing have released a video showing their design team at work on development of the Boeing Sky Interior. White boards and lots of sticky notes are involved. The cabin interior mock-up is again..OK. No ground-breaking design innovations to speak of. There’s also plenty of space in the overhead bins. The video ends with the words: Build Something Better. I recognise the engineering limitations of our industry, the justifiable reasons for gradual change over radical change. But many of those are self-imposed, or a natural side-effect of massive industry consolidation. I also acknowledge that catalogue makes sense for A and B alike. But going from A to B should feel like more of a trip. I do not understand the desire to hold cards so close to the chest that the “wow” factor is entirely lost. We could learn a lot from other industries about exaggerating the possibilities, pushing our design limits, even if it is only in mock-ups. A look at the subsonic (left) and supersonic airplane concepts Boeing submitted to NASA for the agency’s N+3 program, which sought concepts for designs for future commercial airplanes that offer improvements in operational and environmental performance. CAPTION AND IMAGE by BOEING. The aircraft on the right looks familiar, and I couldn’t find a vision for interiors, but we’ll let that go. At the present rate of change, I think the timeline for delivery on these futuristic visions might need to be extended anyway. Catalogues might help in many ways, but they don’t promote innovation. In the end, as A and B wage their Design Centre wars, they are not so much waging them against each other as against their clients. That’s the shame of it. This approach may get us by, but it will not push us forward. Previous PostPrevious First Class is Dead, Long Live First-uh-Business-um-First Class!